The City of Newark, New Jersey takes a lot of hits for its crime rate and riots that took place nearly fifty years ago. It bears the brunt of comedians jokes and the disrespect of people who have never visited. Well I have lived here for thirty-six years and today I would like to tell you about a very positive aspect of the City. Cherry Blossom Trees! 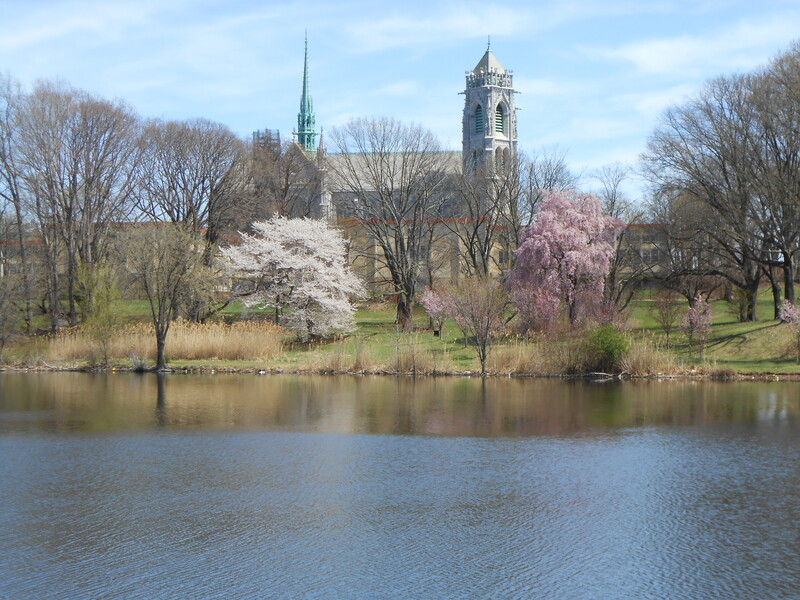 Branch Brook Park which runs through much of the City’s North Ward and through a section of Belleville is the home of a larger collection of Cherry Blossom Tress than the nation’s capitol. 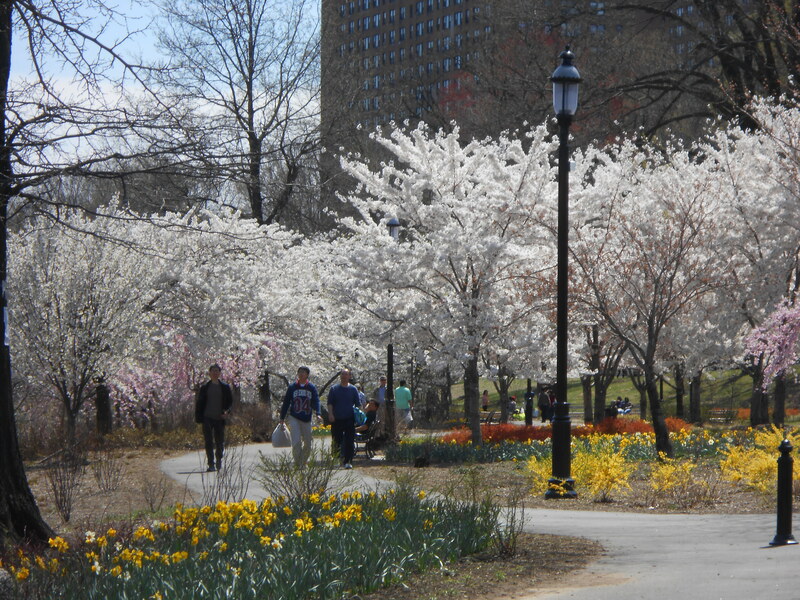 In April of 2012 the number of trees in the park was 2,700. There may be more now, the county is always planting new trees to replace lost trees and supplement where possible. 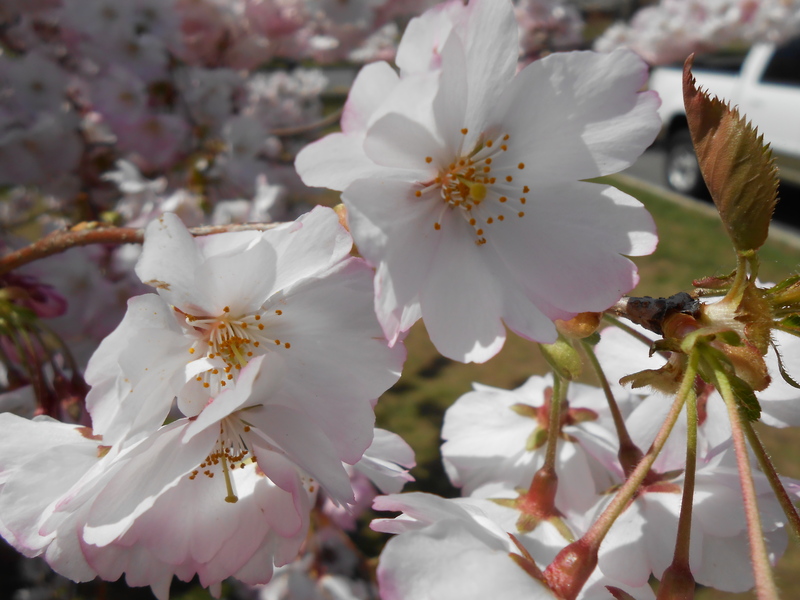 In additions there are Cherry Blossom trees in other parts of the City adorning the urban landscape. 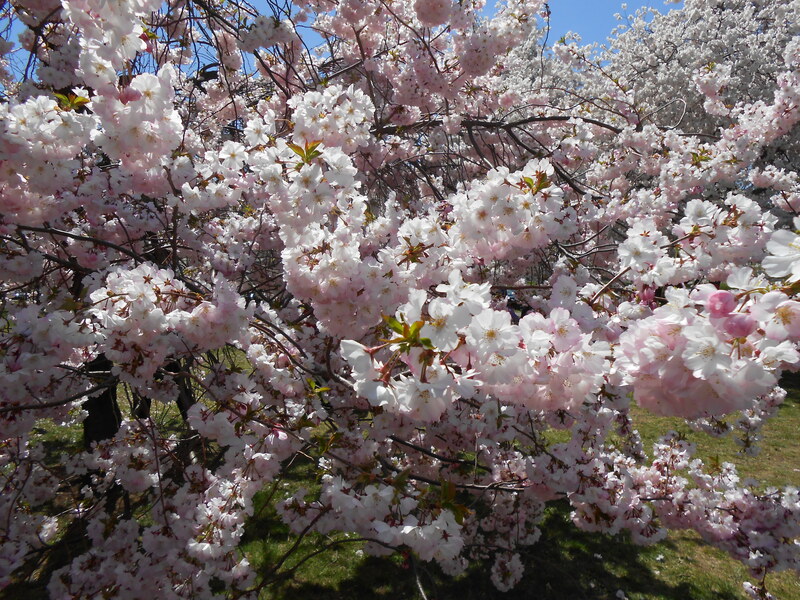 The Cherry Blossom festival brings thousands to our park with their cameras and oil paints. The elderly, the young and all in between. Today I drove my Mom and a friend to the park to enjoy. It was a nice day. Enjoy my pictures.